“In space, no-one can hear you scream”, but this wasn’t space, it was the UK post-Gatwick, and there were plenty of opportunities to scream, but for some reason, none of the major stakeholders in the drone industry were doing much other than laying down and rolling over. Initially their response was as per their usual modus operandi, reminders about safety and the dangers of flying drones illegally. 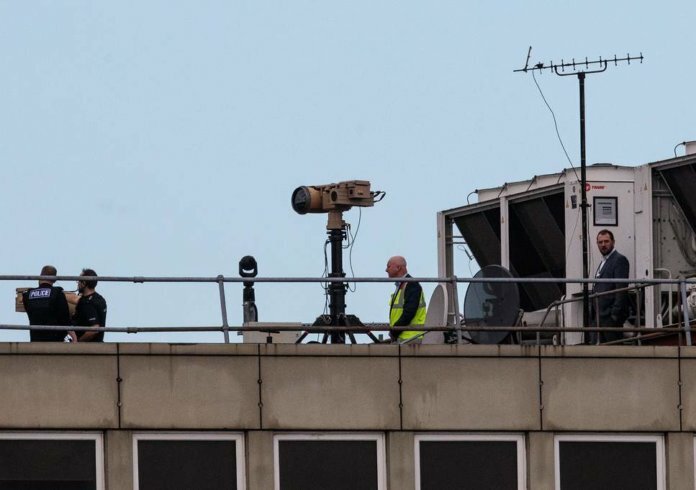 All good stuff for the media which lapped it up as soundbites to fit the narrative that Gatwick was the result of moronic drone users with no concern for public safety. This slotted neatly into their rapidly woven pieces which also included statements from commercial aviation advocates such as BALPA. The overall narrative was a condemnation of drone users, the need for tougher regulation, better education, and harsher penalties. Anything to stop the cause of the problem – drones. As time went on it became apparent that many, if not all of the sightings were false positives. Some people reported the police drones, some people reported helicopters as drones, and so on. The police were under increasing pressure, especially after arresting an innocent couple in a very public operation, which did nothing to try and shield their identities from the hungry media. All the while there was silence from the major industry players. The only voices being heard in defence of drones were often from individuals or small businesses. What happened to DJI? What happened to ARPAS-UK? Drone users had done their bit. They’d paid these people to buy their products or be members of their trade associations. The onus was now on the manufacturers and trade bodies to stand up for them, to defend the industry, but nothing stirred, not even a mouse. There was a very brief window when public opinion was moving against the police’s handling of the matter. They were starting to question why Gatwick had closed. Was it an overreaction? What were the real dangers of drones? Were there even any drones? Jeremy Vine was audible yet both DJI and ARPAS-UK weren’t. Why? One of the principal jobs of the manufacturers and the bodies that represent the end users is to defend the market, yet both DJI and ARPAS-UK were absent. PR is not difficult, reputation management is a tried and trusted approach to situations such as these and everyone has known that at some point it’s going to be required. Everyone knew, yet no one in the industry was ready or willing to step up to the plate. Whilst issuing one press release or taking part in a few interviews is the baseline it’s not enough. You don’t control the narrative, it comes down to editorial decisions far beyond the control of the journalists you’re speaking to, so you have to implement a more direct approach to begin to take some control. This is usually through the form of videos issued through your own media channels – Twitter, YouTube etc. Articles on your own website. Newspaper adverts taken out to promote your narrative as these are beyond editorial control. Handshakes behind closed doors don’t have any effect. What was the reason for this absence? Most likely it’s because they weren’t prepared to defend the industry, they most likely hold the same views as the media. They may have assumed it was a moronic drone user damaging their industry and felt it wasn’t their responsibility to defend. In my view there isn’t an industry here, all we have are a variety of people trying to grab as much money and market share as possible without any thought to the sustainability of their approach. That’s not an industry, it’s the wild west. No one has any time or resources to fight for the drone industry because they’re too busy fighting for space. So what does your £180/year membership fee to ARPAS-UK get you? The whiff of credibility? Your name and contact details on a list that’s handed over to the police in the event of an investigation? What does your £1000 – £5000 loyalty to DJI get you? A drone but no guarantee you’ll be able to fly it for much longer? As the dust settles from Gatwick we can see it’s already being used as a rationale for councils to ban drone flights from their land. This has been announced in Coventry and soon other councils will likely follow suit. Who’s speaking out against this? Lone voices, such as Ian Hudson, from UAV Hive raised the issue on Twitter and that’s about it. Compare that to the car industry. As soon as any measure is floated by councils or governments that penalises car users industry and trade bodies mobilise against it publicly. They understand that one of their main functions is to stand up for the industry, to publicly speak out in its defence and try to affect the narrative. Lobbying is all well and good, but it’s away from the public view. If you lobby but fail to move public opinion then it will have little to no effect as politicians are more interested in the media than lobbyists. So what does the future hold for the supposed drone industry in the UK? Undoubtedly tighter regulations, much less public support, greater hostility towards drone users, and the inevitable ongoing bad press. Add to that another drone incident and the hobbyist market will become hugely contracted. All the low hanging fruit has now been picked and there’s no visible sign that either the manufacturers or trade bodies are willing, or able, to apply the effort to grow the market. Without a growing market, there’s no industry, just a niche that a few people make a killing in and the rest just get by.